Why Choose Honda over other Automakers like Toyota, Hyundai, Chevy, Kia, Nissan, Ford, Volkswagen, and Mazda? People are often recognized in everyday life for displays of greatness. Perhaps you have been doing well at work and just earned a promotion, heading out to dinner with your family to celebrate. Or perhaps you came in first place in that big race you had been training hard for and got to hoist that beautiful gold trophy as a result. Regardless of where specifically you succeed, it is clear that recognition of greatness has to be earned, not given. When it comes to Honda vehicles, the proof is in the pudding. This award-winning brand is recognized consistently for enduring, being efficient and being trustworthy, something that a lot of hard work went into developing. There are a lot of competitive brands out there on the open market, but not many of them can boast the impressive accolades Honda possesses. It is important to understand that this recognition came through a commitment to bringing our customers vehicles that look and feel the way you want them to. Honda vehicles are known for lasting a long time and giving you a great value on the vehicle you’re purchasing. When you decide to purchase a new vehicle, you should rest assured that every penny you’re putting toward it is well worth the price tag. With Honda, you’re getting this, even more so than some of the other brands. This keeps you out on the road in your same vehicle for a very long time, and out of the shop having maintenance work done. It also saves you a good amount of money, as these vehicles have impressive fuel efficiency and don’t require the extensive amount of service you might find yourself needing with another type of vehicle. Along with this durability comes the trust you have in your vehicle, as well as the peace of mind you have in knowing it is going to perform and endure through thick and thin. Honda vehicles are known as being trustworthy for good reason, and are going to bring a consistent level of comfort into your driving experience you may not be used to. Aside from these comforting long-term factors of longevity and trust, when you purchase a Honda SUV or car you are simply getting a vehicle that excels in its design, both inside and out. We are sure you’ll prefer the exterior look of the Accord over a Honda competitor like the new Toyota Camry, and be happy to know that your vehicle thrives in a variety of different areas as well. With Honda, your options are plentiful. You are getting more sedan, crossover, SUV, minivan, or truck options to choose from than other car makers like Mazda and Subaru, giving you all of the leeways you need to weigh your options and make an informed decision about the dynamic vehicle you are ready to pick out. You may feel your unique perspective on vehicles is better suited to be taken care of with this diverse lineup over other car brands. 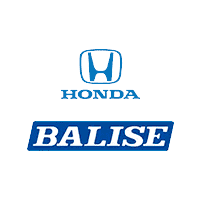 Here at Balise Honda of West Warwick, we still marvel at how all of these factors make Honda such a premier brand to explore. Our selection of new, certified pre-owned and pre-owned Honda vehicles deliver quality driving experiences to all of our customers, and we encourage you to explore them fully. Stop by our showroom with any questions you may have, and we’d be happy to answer them for you. Our conveniently located dealership is just a short drive from Providence, Coventry, Cranston, and Johnston, RI.